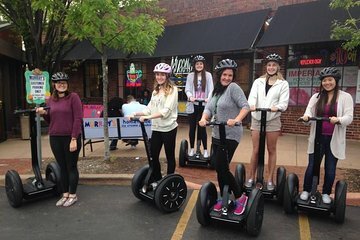 I am a veteran Segwayer, It was my sister-in-laws 1st experience, and they were patience and made her very comfortable. She is now a Segway tour convert and will gladly hope on a Segway again. Great info on the Arts of Kansas City, had not idea Kansas City had such a prestigious Art Institute an culture. It was a great fun tour. Our guide Michael was friendly and made the tour memorable. The best way to get to see the Plaza and the many fountains.